For a bathroom basin that features the perfect blend of style and functionality, look no further than the Rohan Vessel Basin. This elegant ceramic bathroom vessel features an attractive geometric design with curved edges which offer a very modern touch. Give your bathroom a facelift at next to nothing costs. 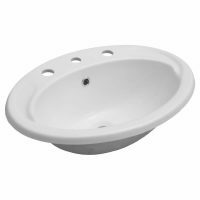 The Rohan Vessel Basin features superior workmanship and is manufactured using the finest grade of vitreous china. As a result, this compact vessel is incredibly durable and it will offer several years of service. It features a single tap hole and measures 500 x 395 x 130mm in dimensions. A waste is not included. The Rohan Vessel Basin is offered in a classic white finish. 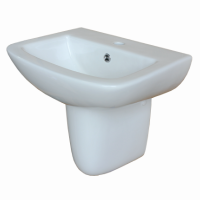 And coupled with the design, it is sure to enhance the aesthetics of any bathroom. 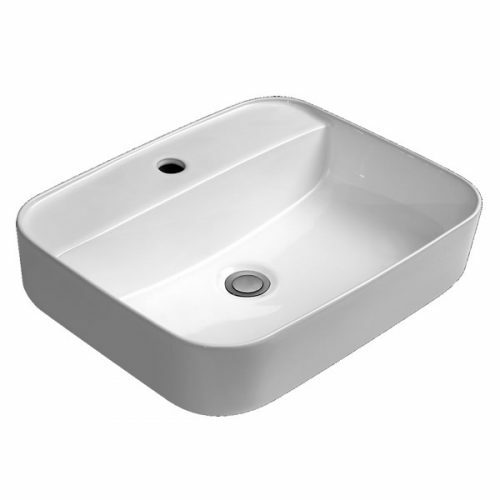 The Rohan Vessel Basin will certainly add charm and practicality to your bathroom – all at a very affordable price. Go ahead and visit our online store or showroom at Ross’s Discount Home Centre and purchase this elegant bathroom vessel today!